Cornwall is one of the top UK destinations for a good ol’ beach holiday and quite rightly so! 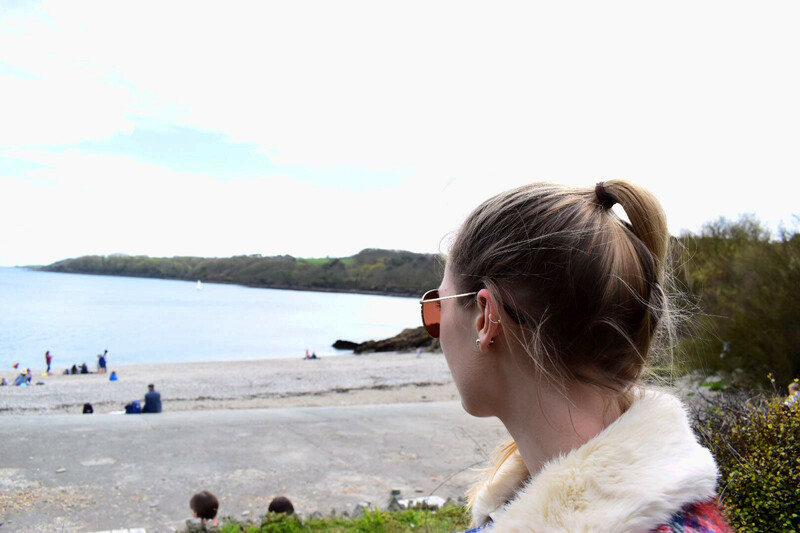 Cornish beaches are among my absolute favourites. Although most people tend to head to the honeypot sites of North Cornwall such as Padstow and Newquay, the South is a bit less touristy and much more picturesque in my opinion! 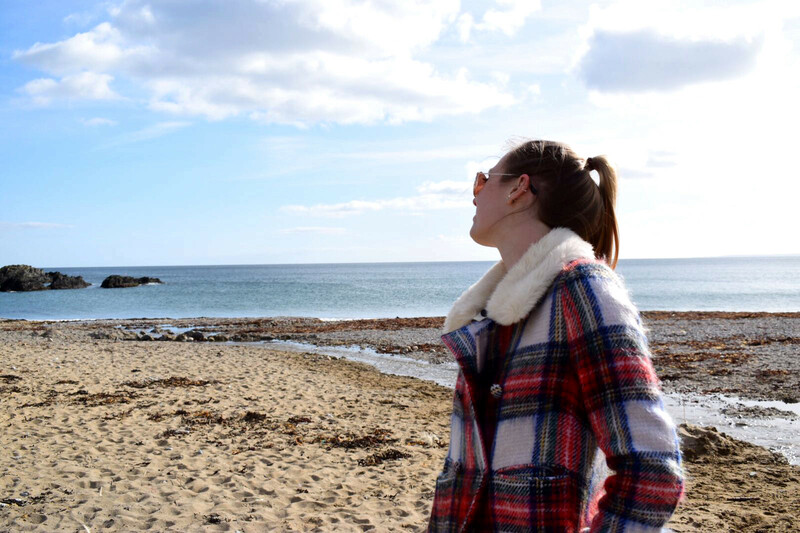 I’m going to introduce you to my Top 5 Beaches on the South Cornwall Coast, which might just tempt you away from the North. Hemmick Beach has to be one of the prettiest little beaches I’ve ever visited. I last went in April so it wasn’t that warm but there were still a few people splashing about amongst the waves. This beach is a lovely white sandy one, with a few pebbles dotted about and it has to be one of the best hidden beaches I’ve come across. 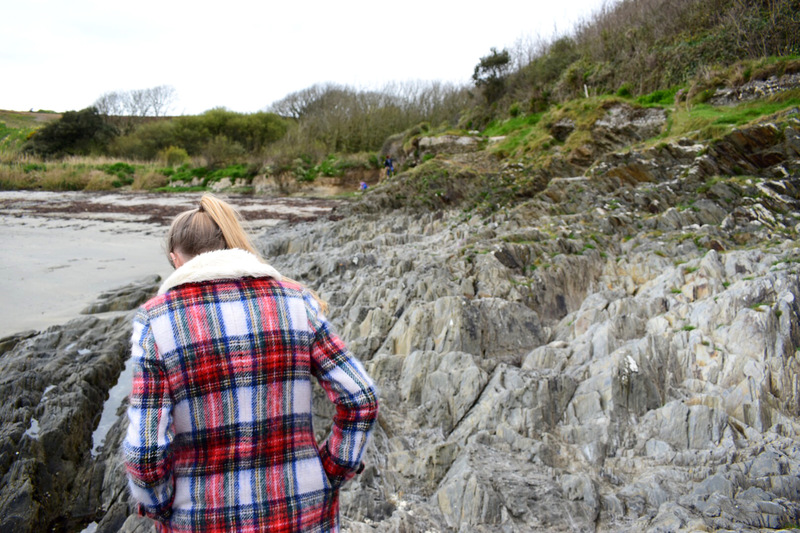 There are quite a few little hidden coves amongst the rocks which are fun to explore at low tide, and often let you you have a little bit of private beach to yourself! The cliffs are also great for shielding yourself from that often nippy sea breeze and make for some great views if you fancy bit of a scramble up them. The beach is also open to dogs all year round so you’re likely to spot a few furry friends playing with the driftwood and having a splash about in the sea. What’s not to like?! Location: Hemmick Beach, PL26 6LL. The nearest villages are Boswinger and Gorran Haven. Parking: National Trust Car Park at Penare Farm. This is around a 10-15 minute walk to the beach down quite a narrow road. There are also a couple of parking spaces at the beach. 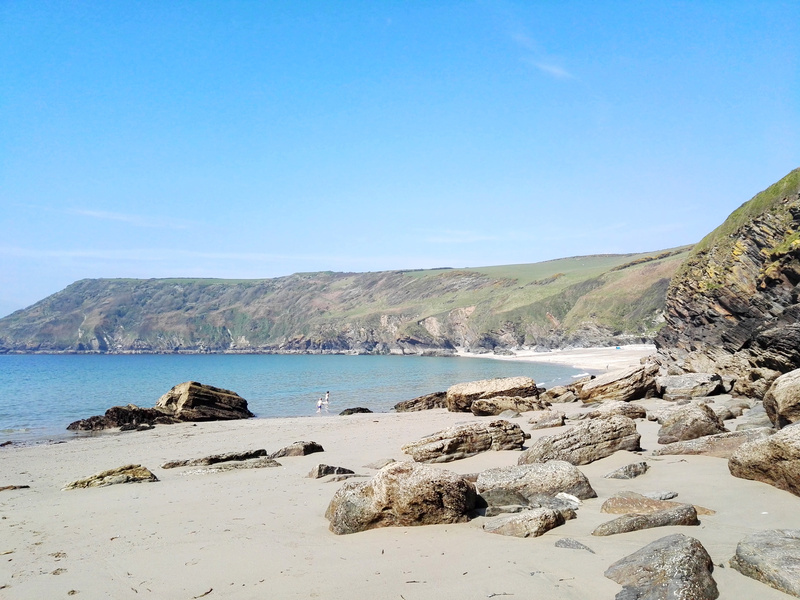 If you read my South West Coast Path Photo Diary you’ll already know about this gem of a beach. Lantic Bay is another beautiful National Trust beach and is sat just off the South West Coast Path. 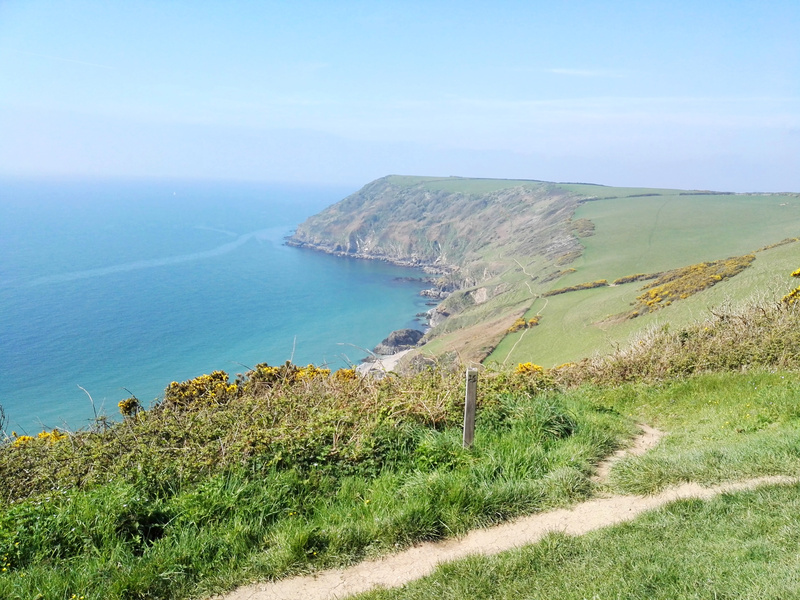 As with many beaches in Cornwall, you do have to work for this one as the walk to the nearest car park is pretty steep in places, however it is definitely worth it! This is quite a popular beach but you may be lucky and have it all to yourselves as it is quite remote. Make sure to pack up plenty for the day as you can’t quickly pop back to the car and there aren’t any facilities down there either. If you happen to be on the beach at low tide make sure to explore Little Lantic. This hidden cove is tucked around the cliff on the left of the beach. From here you get a great view of the main beach (Great Lantic), just make sure not to get stuck when the tide comes back in! Location: Lantic Bay, PL23 1NP. It’s about 5 minutes drive from Polruan, near Fowey. 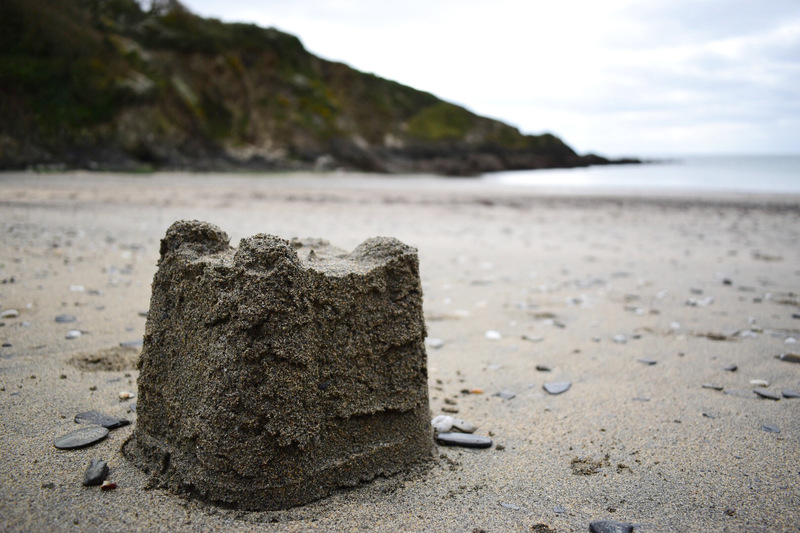 Parking: There’s a National Trust Car Park on the main road into Polruan about 1 mile away from the beach. Pack your trainers as the walk is quite steep in places! 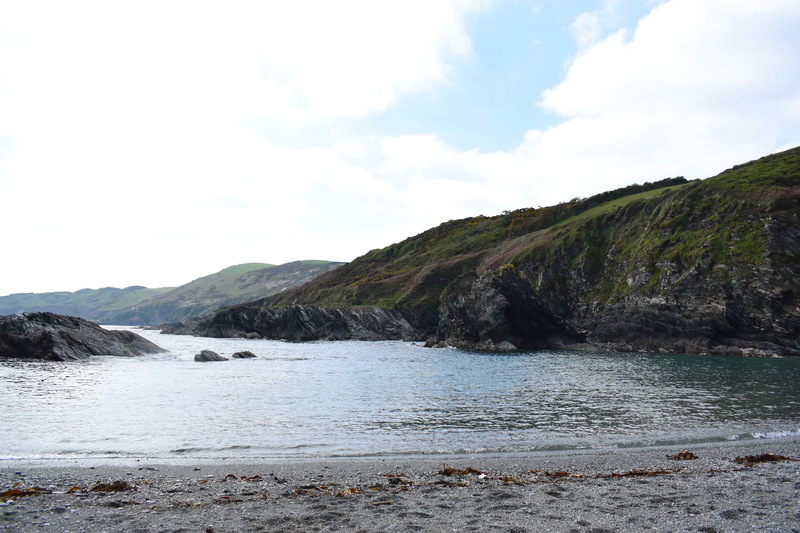 Lansallos Beach (also known as West Combe) is probably the most popular of the beaches in this post as it’s not quite as remote as some of the others. It is bit of a walk to the car park still, but it’s not as much of a scramble as the walk down to Lantic. 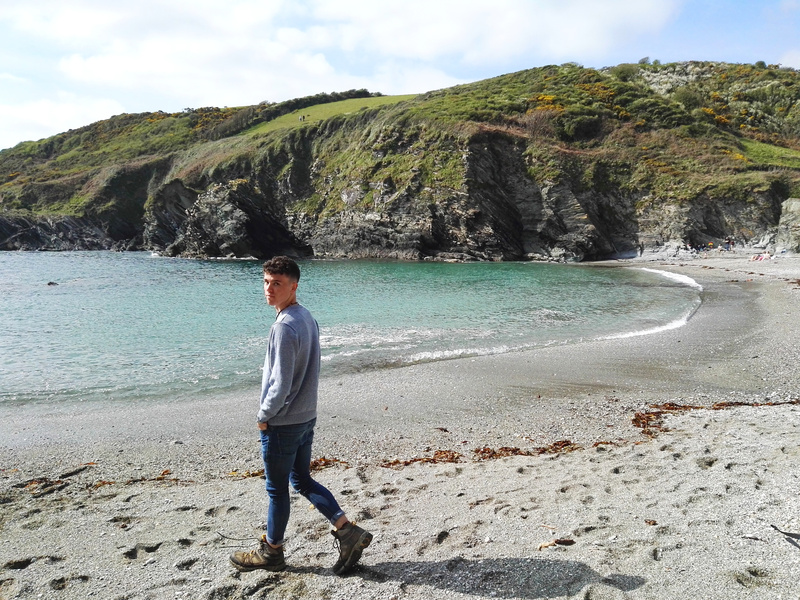 Lansallos and Lantic can easily be visited in the same day by walking the South West Coast Path as I mentioned in my Photo Diary post. 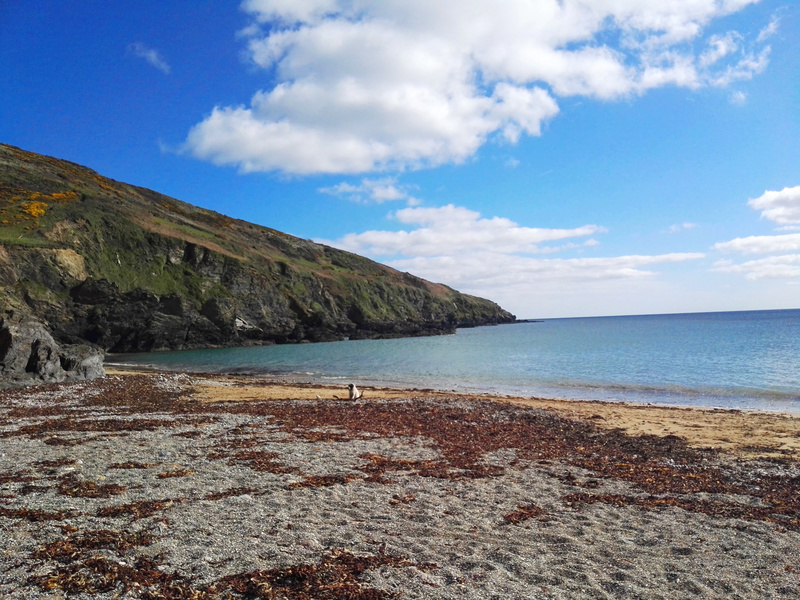 Lansallos in particular is a good family beach as there aren’t as many hidden coves so would be easier to keep an eye on any younger family members. Additionally, the woodland walkway down to the beach is full of activity spots to break up the walk. The beach itself has a little waterfall on the western side (you’ll see it as you walk down), known as Reed Water which used to power a small mill. Just down from this waterfall you’ll walk through a cutting in the rock to get onto the beach itself – if you look down you can see the wheel tracks where smugglers used to use the beach to bring their goods ashore! Location: Lansallos, Looe, PL13 2PX. It’s about half way between Polruan and Polperro. 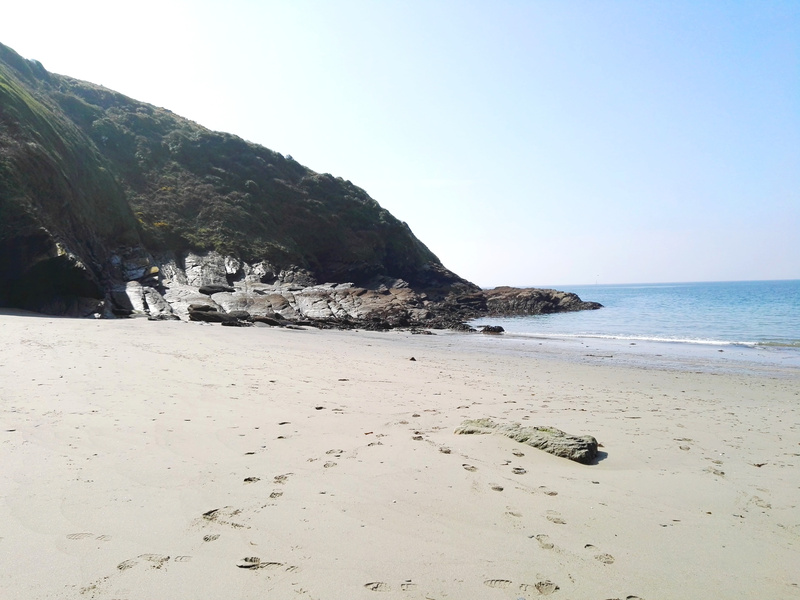 Polridmouth Cove is one of the more unusual beaches I’ve ever been to. 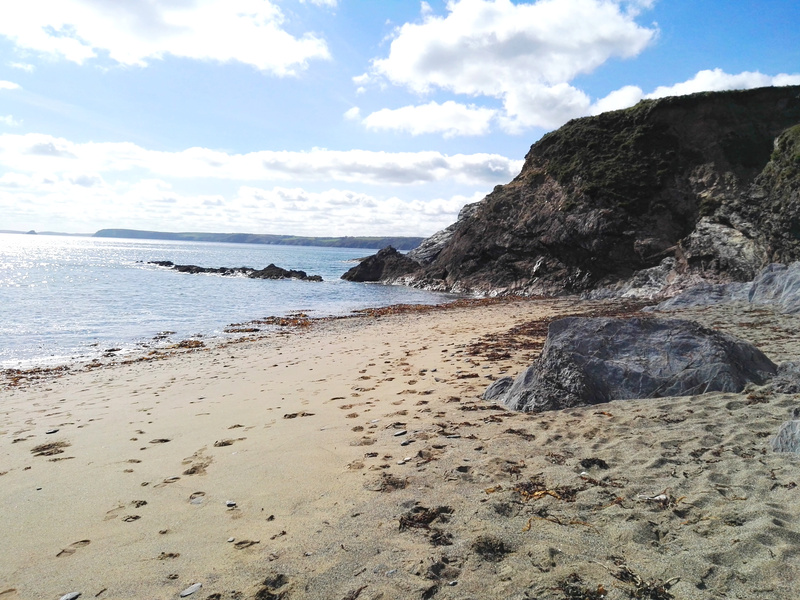 The beach is set in a beautiful sheltered cove to the east of Gribbin Head near Fowey and has two distinct parts. The first cove that you arrive at is rather rocky, whilst the cove further round the path is much more sandy. The rocky cove has some good rock pools, although they can get rather slippy- I found this out the hard way when I slid knee deep into one. I tell you now, cold, wet jeans and feet are no fun. 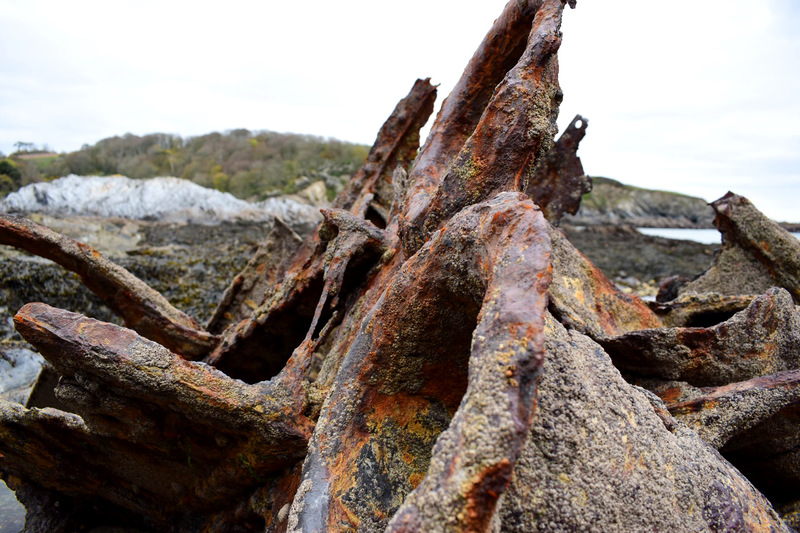 If you do venture over to the far right hand side of the beach you might notice some rather rusted lumps of metal. You would indeed be right in thinking that these are bits of a shipwreck. 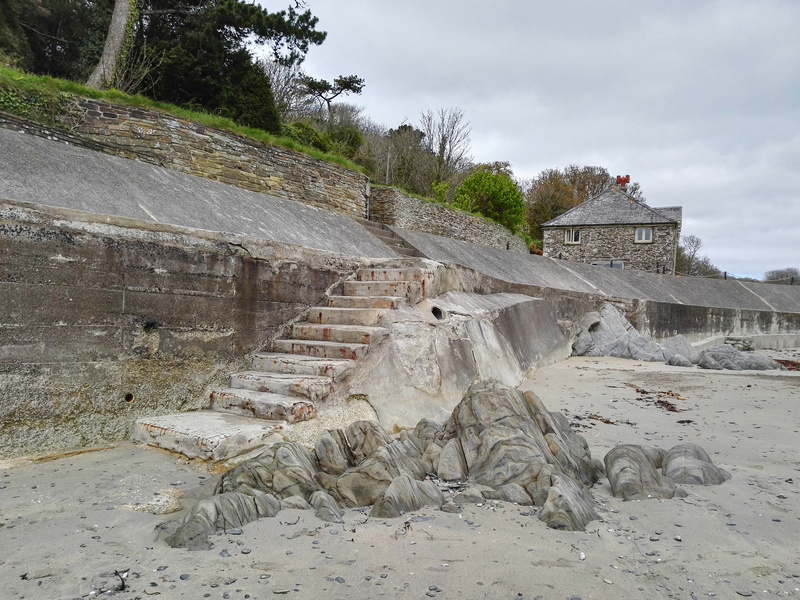 The Romanie hit the rocks in 1930 during a storm that struck during its voyage from Fowey to Par. Thankfully all of the crew managed to get aboard safely but the ship was left to rot away in Polridmouth Cove. If you venture round the path a bit further you will find Polridmouth Cottage, sat on it’s very own lake. Yes, a lake. It’s not exactly a sight you see all the time at the beach but it is very very pretty. This cottage is in fact rather famous, if you’ve read Rebecca by Daphne du Maurier you might know it as a boathouse instead. Daphne du Maurier lived in nearby Fowey and drew her inpiration for Manderley from Menabilly (near the car park) and Polridmouth Cove itself. Du Maurier also drew inspiration from the shipwreck, which lead her to write about Rebecca’s death in her boat (sorry if that was a spoiler for you). If you fancy living the novel, you can actually find the cottage on AirBnB, here! Parking: Menabilly Farm. Head along the A3082 and follow signs to Menabilly. Continue along the road until you see a car parking field on the right hand side. If you end up at the farm you’ve gone a little too far! 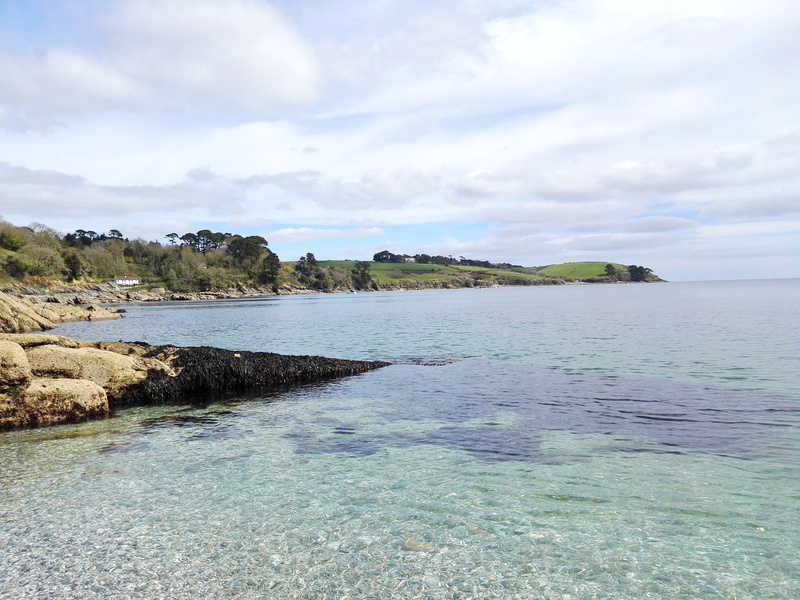 At this point you’re probably wondering why Trebah Gardens is in a top 5 beach list, isn’t it a garden? Well yes, it is a garden but it also has a beach right at the very bottom. It also just so happens that this beach has some of the clearest water I have ever seen. 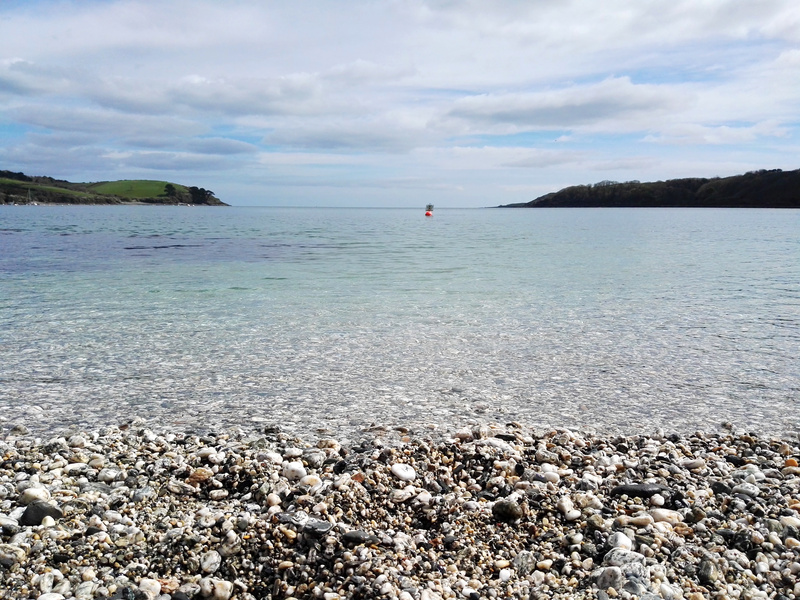 The beach also runs onto the Helford River, not the sea, but it’s basically the same thing. This beach is definitely the busiest as Trebah Gardens are very popular, but it’s still a beautiful beach. 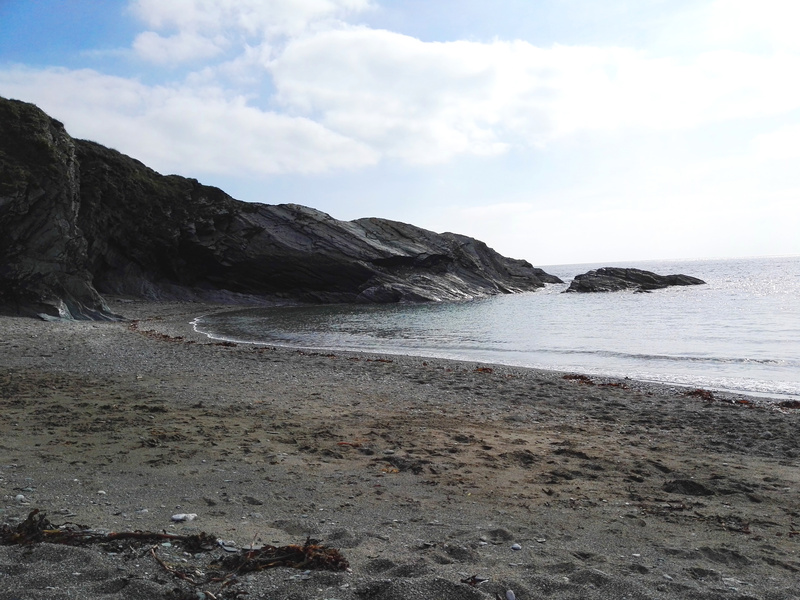 Polgwidden Cove actually has a cafe too, so you can eat ice-cream on the beach until your heart is content! If you’re looking for a good beach to skim stones then this is the one for you. With lots of pebbles and views of sailing boats on the water it’s a great place to soak in the sun. Many of the boats used in the D-Day Landings launched from the beach at Trebah, giving it an interesting background. Over 7,500 troops of the 29th US Infantry Division gathered on the beach before they set off for Omaha Beach. It’s harrowing to think that this was the last view the troops saw before getting on the boat. Dog Friendly? Dogs must be on leads. 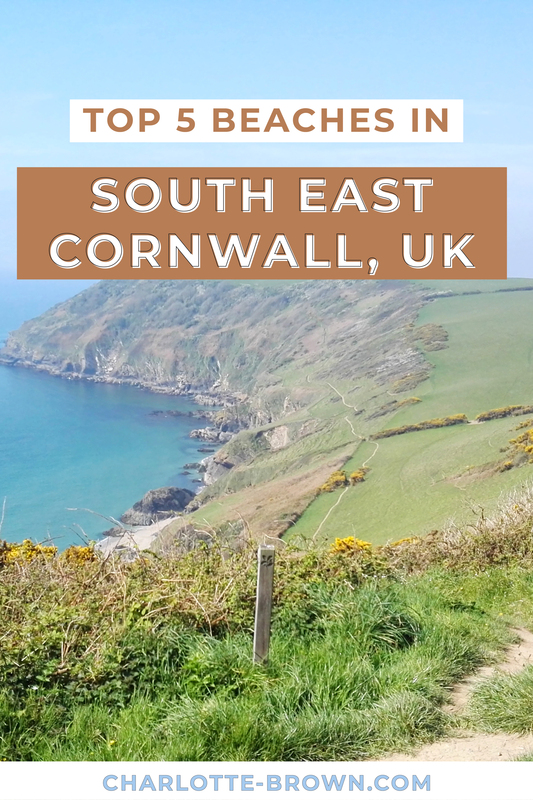 There we have it, my top 5 beaches on the South East Coast of Cornwall! They are a stunning bunch and are definitely worth a visit if you’re ever in the area. The gardens of Trebah are a great day out too, regardless of the beach at the end. Let me know your favourite UK beach in the comments below! "A Weekend with Where’s Mollie Global Travellers"